Whether you’re celebrating an anniversary, a birthday, or a new baby boy or girl coming into the world, your thoughtful gift deserves to be packaged in a sturdy, stylish box. Our Baby Blue Two Piece Gift Box is the cute, charming package that will make all your gifts a little sweeter. With its baby blue color, this box looks great on any occasion, but is especially perfect for baby showers. It is sized to fit all your smaller gifts, including jewelry and even gift cards. And since it is durable and features a strong shoebox style lid, you can trust it to hold anything. Best of all, since it looks so great on its own, it needs little more than a bow or ribbon to make it party-ready. Whatever the occasion, give the box that’s simple, reliable, and adorable. 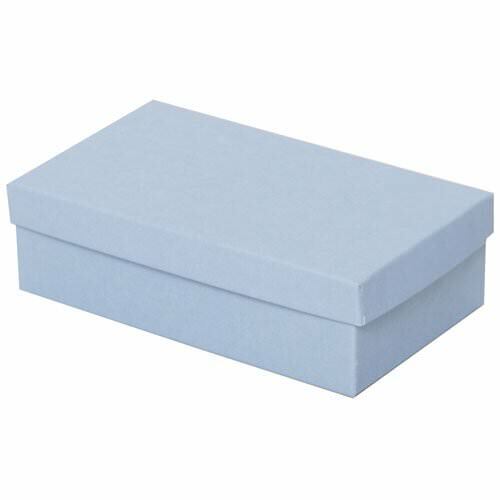 Baby Blue Two Piece Gift Box is available in 3.5 x 6 x 1.75.